Today I have a super easy (and cute) DIY for the babe in your life. 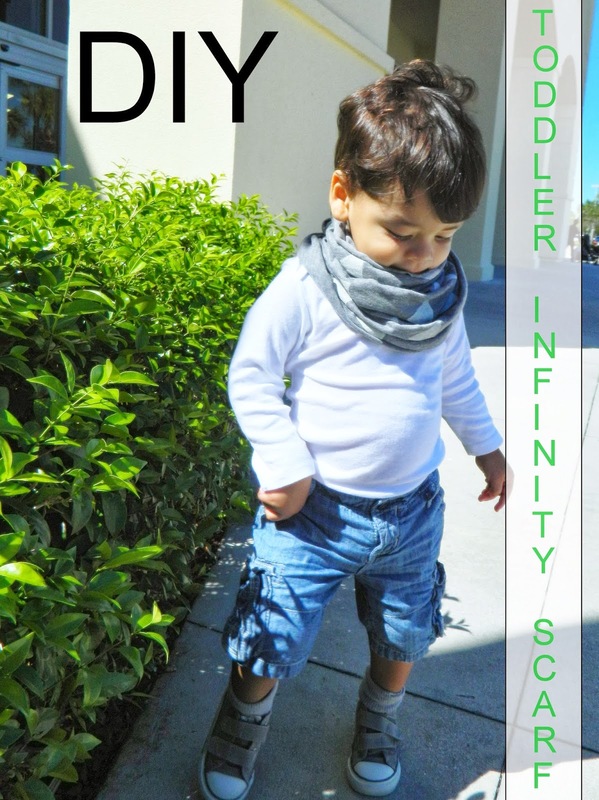 An infinity scarf that's perfect for the Fall weather (although it's still in the 80's by me...) and the best part? No sewing. Whatsoever. I don't know about you but the only DIY's I actually attempt are ones with only a few steps. Otherwise, I just get overwhelmed and lose interest before it's done. 1 - Cut the fabric to the desired width. I cut of the top part first (the sleeves) because I wanted to test the size on my son before making it any smaller. Also, cut off the bottom hem. This fabric won't fray. I decided to go with 12 inches and it's perfect for him. 2 - Paint! Put a small amount of paint in a dish for dipping. I didn't want too much paint on the brush to avoid making mistakes or creating messy lines. For this step, you can use a stencil or a stamp. I imagine a stamp would make it much faster to complete but I didn't mind the extra quiet time to focus on this project. Make sure not to press down too hard so that the paint does not bleed through to the other side. OR you can place a piece of cardboard in between the two layers just in case. 4 - Allow the paint to dry and then try it on your sweet babe. It's still pretty warm here so I paired it with some shorts for the purpose of these pictures. omg!!! he is so cute...I need to make one of these!!! 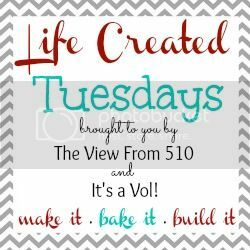 This awesome...you need to link this post on ItsAVol blog she has a Life Created link-up on Tuesdays!!! Your son is SO cute! 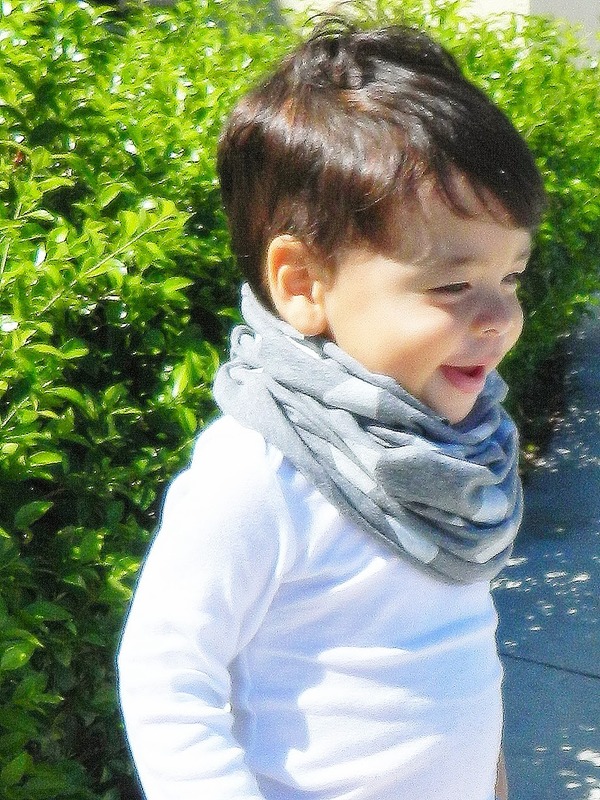 I love the scarf!! Thank you for the instructions. I found you on the link up! LOVE this post! I can't wait to make one for Emma!! Okay cutest thing ever! I'm totally doing this! This is SO cute!!!!!!!!! I need to do this for Olivia!!!!!!! Very smart idea... love it !